What is mediumship? The receipt of information not available through the normal senses, ostensibly from spirits of the dead or gods. Besides serving as a conduit for communication, Mediums may heal and produce physical phenomena, such as the movement of objects and the control of weather (see Psychokinesis). Mediumship has a long history, dating to ancient times and existing in cultures around the world. Human beings have always sought contact with the spiritual realm and with the dead. Mediums are born into their calling or are initiated via training or self-healing. Some acquire mediumistic gifts as the result of injury or emotional trauma. The origins of modern mediumship began in research on mesmerism during the 19th century. Some subjects who were “magnetized,” or hypnotized, into trances fell under the control of spirits and delivered messages from the Other Side. Like shamans who communicate with the spirit world by becoming possessed by godlings, spirit animals, and deities, the mesmeric subjects became temporarily “possessed” by discarnate spirits. As Spiritualism grew, first in America and then in Britain, mesmeric mediums were absorbed into it. Mediums Demonstrated their abilities either at private Séances held in a home (see Home Circle), or in public in a lecture hall. There are two types of mediumship, mental and physical. In mental mediumship, the medium communicates through inner vision, clairaudience, and mental impressions and either speaks or writes (see Automatic Writing). Physical mediumship was popular toward the end of the 19th century and is characterized by feats attributed to the spirits, such as Rapping, TABLE-TIPPING, LEVITATION of objects or of the medium, movement of objects, Materializations, Apports, ghostly music, “spirit lights,” and strange Smells. A medium’s communications with spirits are governed by one or more entities called Controls. Some psychical researchers contend that controls are not external spirits, but secondary personalities of the medium. Mediumship enjoys popularity today. Many mediums work in Paranormal Investigation and in assisting law enforcement in the solving of violent crimes and missing persons. Most modern mediumship is mental, though some individuals do work in physical mediumship. Some of the phenomena associated with mediumship also occur in schizophrenia: altered states of consciousness, visions, disembodied voices, and the temporary possession of a medium by a spirit entity or discarnate personality. Many prominent mediums have been extensively interviewed and observed by psychiatrists and psychologists, some of whom conclude that mediumship is a form of schizophrenia and that the “spirits” manifested are merely sub-personalities of the medium that emerge from deep layers of consciousness to seek their own independent expression. The similarities between mediumship and schizophrenia are only superfi cial, however. Schizophrenics have no control over the voices, visions, and personalities; they occur spontaneously, often without warning, and in many cases will not cease despite the desperate attempts of the victim to turn them off. Mediumship, on the other hand, is a psychic gift that the medium learns to control. Schizophrenics become disoriented by their experiences, which are nonproductive; mediums use mediumship for spiritual growth and to help others. Schizophrenics lose their ability to function in normal reality; mediums, for the most part, carry on normal lives. Since trance mediumship is a form of dissociation, it has also often been compared to multiple personality. As in cases of multiple personality, mediums in trance take on personalities sometimes strikingly different from their own. Although these trance personalities may have supernormal powers, a medium’s regular controls, particularly, are often able to give little credible evidence of being more than a secondary personality of the medium. However, whereas persons afflicted with multiple personality— such as the famous Eve—have little control over when they will switch from one personality to another, mediums can go into trance at will. The press criticized female mediums for being corrupted of their femininity and lambasted male mediums for being too feminine. The popularity of spiritualism prompted hundreds of housewives to begin holding tea parlor Séances for their friends. Mediumship sometimes seemed to run along bloodlines, with all the women in a family claiming to share the gift. The audience selected a jury—usually all male—that chose a topic of discourse, usually science or some “masculine” subject. Richmond entered a trance and gave an instant “spirit” lecture on it. Her audiences invariably were impressed, although skeptics noted that the talks were bland, monotonous, and predictable. Other mediums were more dramatic. Some reveled in their possession by male spirits, who “forced” them, for example, to swear and drink whiskey from a bottle. 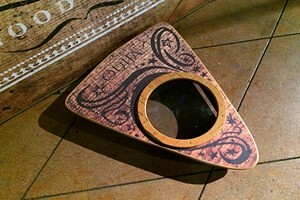 Some told stories of being strangled by pirate spirits. In America, two female mediums engaged in a fist fight on stage because their spirit controls hated each other. Aspects of sexual liberation were part of spiritualist mediumship as well. Both mediums and their clients frankly enjoyed the physical contact of holding hands, knees, legs, and feet during seances and caressing and kissing “spirit” materializations. Some mediums engaged in affairs under the direction of their spirits. It was not unusual for mediums to leave their husbands—also under the direction of their spirits—and to counsel other women to divorce their mates as well. Mediums claimed to consort with their spirits; the illegitimate offspring that resulted were called “spirit babies.” Despite the fame and freedom, mediumship seldom led to riches. The lucky mediums attracted wealthy benefactors; D.D. Home enjoyed the rarified company of royalty and nobility. In America, the average medium earned five dollars for a night’s performance away from home and one dollar per hour at home. Female mediums complained bitterly about their low incomes. Another hazard was ostracization. Despite the adulation of clients, many women-turned-mediums found themselves cast out by family and friends who disapproved of their behavior. Psychical researchers became interested in mediumship as a possible avenue for proving Survival After Death. Many of the leaders in the early days of Psychical Research sat in seances and studied and tested mediums. The field was not without problems. Physical mediumship was fraught with fraud during the competitive height of spiritualism, with mediums resorting to stage magic tricks for the special effects necessary to attract an audience. Numerous mediums who claimed to materialize spirits were caught impersonating the spirits themselves. THE Fox Sisters, who are credited with starting the movement, may have indulged in some trickery, especially toward the end of their mediumship. Sir William Crookes, an eminent British physicist and chemist who investigated mediums, believed that nearly all mediums resorted to tricks at times. Strangely, he vouched for Florence Cook, who was exposed as a fraud more than once. Another physical medium, Eusapia Palladino, was known to cheat if given the chance, but was able to produce apparently genuine phenomena if well controlled. Home was never exposed or even seriously accused. Fraud, then, although rampant in physical mediumship, cannot explain all of it. Fraud also has existed in mental mediumship, particularly toward the mid-20th century, when SPIRitualIST CAMPS were at their peak of popularity. Arthur Ford, who was often accused of fraud yet was never exposed said no medium could perform 100 percent of the time; rather than admit an off day, most would cheat. However, there have been great mental mediums—among them Leonora Piper, Minnie Meserve Soule, Gladys Osborne Leonard, and Eileen J. Garrett—who were never suspected of having cheated. Despite the hazards of fraud, proponents of spiritualism have reported favorably on mediumship, witnessing physical phenomena and receiving evidential communications from the dead. Many reputable mediums practice in the field. Platform readings—short messages given in public where the medium picks people from the audience— remain a staple of spiritualist churches and camps, as well as private consultations with mediums for contact with the dead, advice, and healing. Early investigators in the Society for Psychical Research (SPR) in England encountered so much trickery in physical mediumship that they turned their attention to Apparitions and Telepathy instead. But that was soon to change. An American counterpart to the SPR—the American Society for Psychical Research—was founded in Boston in 1885. There, William James came into contact with Leonora Piper, whose trance mediumship was so strong that it directed attention to mental mediumship. Investigations of physical mediumship had trained investigators to be on the lookout for fraud, so they approached Piper with skepticism. She was followed; her mail was opened; sitters went to her anonymously, taking care to enter after she had gone into trance and sit facing her back. When it became apparent that Piper could not be performing fraudulently, attention turned to explanations alternative to spirit communication. Research on apparitions had suggested that these could be explained through Extrasensory Perception (see APPARITION; Super-PSI), and this theory was extended to communications through Piper and (later) other mental mediums. To try to determine whether Piper was reading her sitters’ minds, so-called “proxy sitters” would attend seances in the place of the persons for whom the seance was intended. Some researchers also employed absent sittings, in which only a stenographer would be present, to take down what the medium said. The logical end of this line of investigation came with a series of “linkage experiments” conducted by Karlis Osis. Here, there were a series of people between the interested party and the sitter who went to the seance. None of the intervening people knew even the name of the person for whom the communications were intended. Later research on mediumship concentrated on DROPIN COMMUNICATORS, those unknown to either the medium or sitters (see RUNOLFUR RUNOLFSSON CASE), which are thought to be less vulnerable to the super-psi criticism. Also relatively immune are the CROSS-CORRESPONDENCES, an extensive network of cross-references in communications through several mediums on both sides of the Atlantic, apparently originating from a group of deceased psychical researchers. The evaluation of mediumistic communications has generally been subjective, depending on the appraisal of the sitters for whom they were intended, but attempts have been made to assess seance records more scientifi – cally. In 1930, SPR members Henry Saltmarsh and S. G. Soal were the first to devise a statistical procedure for estimating paranormality. Their method required weighing statements as to the likelihood that they could be correct simply by chance. JOHN F. THOMAS took this approach farther in his 1933 doctoral dissertation, in which he had several people judge records as right or wrong for themselves. J. G. PRATT later introduced more refinements, including new statistical procedures. 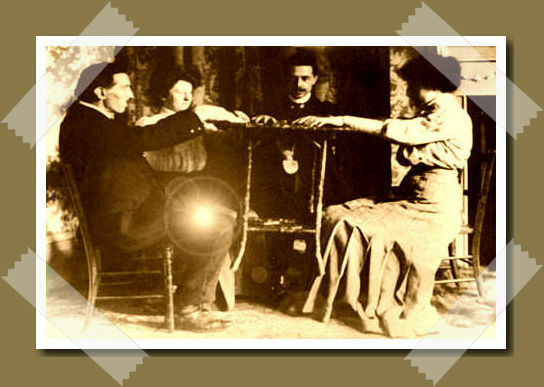 Physical mediumship received less attention than mental mediumship in the 20th century, but several physical mediums were subjected to stringent physical controls and various types of tests and safeguards, including photography (see Marthe Beraud; Eusapia Palladino; Schneider Brothers; Thomas Glendenning Hamilton). Physical mediumistic phenomena are now generally classified as macro-PK (see Psychokinesis). The psychical research establishment has had little interest in mediumship, either mental or physical, since the mid-20th century; most researchers prefer to work on problems associated with psi. Although spirits are often credited with paranormal physical phenomena, physical mediumship actually offers little evidence for survival, not only because of the possibility of trickery, but because similar phenomena can be generated by average people through psychokinesis (see SITTER GROUP). Mental mediumship, on the other hand, furnishes one of the strongest lines of evidence for survival (see Survival After Death). Mediums provide significant information and also often convey mannerisms and personal characteristics of the deceased. Through mediums, the dead may also manifest some purpose, such as warning sitters of danger (see also BOOK TEST; NEWSPAPER TEST). As a consequence, many investigators who began as skeptics (among them Richard Hodgson and Eleanor Sidgwick) converted to a belief in survival. Super-psi, however, remains a theoretical challenge to even the best survival evidence. In some cases, CRYPTOMNESIA may also play a role. In order to provide more objective evidence for survival, people have left codes, sealed envelopes, or encrypted messages or set combination locks whose secrets they planned to reveal in communications after death. (See EDWARD, JOHN; HOUDINI, HARRY; and Smith Susy.) One of the few Scientific research programs on mediumship is VERITAS, part of the Laboratory for Advances in Human Consciousness at the University of Arizona in Tucson. VERITAS is directed by Gary E. Schwartz and Dr. Julie Bieschel, assistant director; both serve as the primary investigators. “Veritas” is Latin for “truth.” The name of the program stands for Verification, Experimentation, Replication, Investigation, Testing, Accuracy, Synthesis. The program tests the hypothesis that consciousness or personality survives death. Investigators test and train mediums who have applied to the program and are screened for admission. Nonblind, single-blind, and double-blind tests are used. Tests concern the accuracy of information, the sources of information, factors that enhance or impair mediumship, and comparisons of genuine mediumship with fake, cold, and compuer-generated readings. The program also researches whether or not mediumship can be taught and if so, how. Among the mediums who have been in VERITAS is ALLISON DUBOIS, the real-life model for the hit television program Medium. Braude, Ann. Radical Spirits: Spiritualism and Women’s Rights in Nineteenth Century America. Bloomington, Ind. : Indiana University Press, 2001. Fuller, Robert C. Mesmerism and the American Cure of Souls. Philadelphia: University of Pennsylvania Press, 1982. Gauld, Alan. Mediumship and Survival. London: William Heinemann Ltd., 1982. Lewis, I. M. Ecstatic Religion: A Study of Shamanism and Spirit Possession. 2nd ed. London: Routledge and Kegan Paul, 1989. Moore, R. Laurence. In Search of White Crows: Spiritualism, Parapsychology, and American Culture. New York: Oxford University Press, 1977. Oppenheim, Janet. The Other World: Spiritualism and Psychical Research in England, 1850–1914. Cambridge: Cambridge University Press, 1985. Pratt, J. Gaither. On the Evaluation of Verbal Material in Parapsychology. Parapsychological Monographs No. 10. 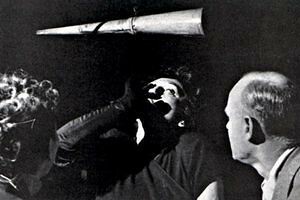 New York: Parapsychology Foundation, 1969. Rogo, D. Scott. The Infi nite Boundary: A Psychic Look at Spirit Possession, Madness, and Multiple Personality. New York: Dodd, Mead, 1987. Schwartz, Gary E., with William Simon. The Afterlife Experiments: Breakthrough Scientific Evidence of Life After Death. New York: Atria: 2003. Winkelman, Michael James. “Shamans, Priests and Witches: A Cross-Cultural Study of Magico-Religious Practitioners.” Anthropology Research Papers No. 44. Tucson: Arizona State University, 1992. “VERITAS Research Program.” Available online. URL: http:// veritas.arizona.edu/. Downloaded October 18, 2006.